Do you live in a modern property? Do you struggle with humidity and want more fresh air in your home? Our Tilt and Turn UPVC windows are a type of PVCU window designed specifically to provide large openings. The tilt and turn windows we sell open inwards and can tilt at the top for ventilation, or fully hinge inwards so that the windows can be cleaned from inside of the room. Tilt and turn windows provide many benefits and allow you to fully open your windows safely for great ventilation and easy cleaning without compromising on the security of your home. The modern style of tilt and turn windows suits any property type. Whether you’re looking to replace your current windows, or you just want something more functional, our tilt and turn windows are the ultimate choice. We are South Coast Home Improvements, specialists in quality window, door, and conservatory installation. As a family run home improvements company, with over 40 years’ experience, we pride ourselves in the excellence of our products and the quality installations we provide. If you’re thinking of having new tilt and turn windows installed in your property, our installation experts are available to advise you every step of the way. We will work hard to ensure you have the best windows installed for your property. Click Here Now for Our Special Offer: £500 Off with Every Online Order! If you want windows that are easy to maintain, our tilt and turn UPVC windows are the perfect choice as you can clean the whole window and frame without having to climb a ladder! Simply turning the handle halfway allows you to open the window inwards so that you can easily clean the glass from inside your home. 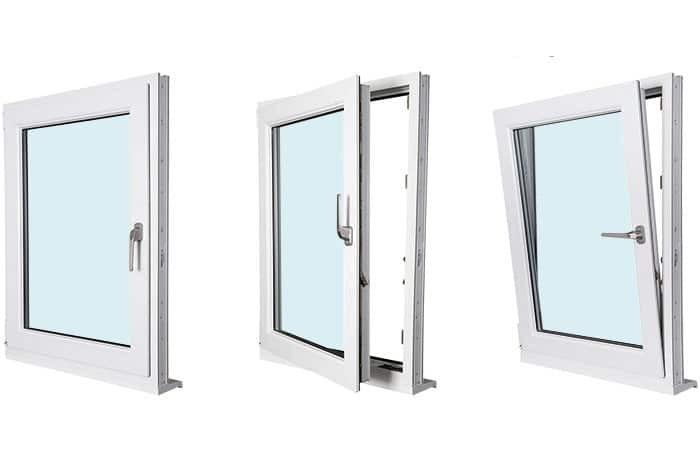 This feature is absolutely ideal for high-rise properties or homes where accessing the outside of windows is made more difficult. Ventilate your home all day long, even if you’re out, without compromising on the security of your property. A simple 180 degree turn of the window handle provides a tilt to the window that creates an opening just large enough to allow in fresh air. The tilt restrictors mean you can keep your windows open all day long, allowing air to circulate, without creating a gap large enough to be accessed from outside. These windows can be particularly attractive in conservatories where large clean, uninterrupted glazing lines are required. UPVC windows are important in a conservatory as they can help regulate temperatures and offer that extra level of security. The energy-efficient performance of tilt and turn windows is because of the tight air seals that ensure no water leakage, no draughts, and certainly no heat loss! Save money on your energy bills and enjoy a home that remains at a comfortable temperature, no matter what the weather is doing outside. Our tilt and turn windows are completely air-tight, allowing for long-lasting high-performance. For tilt and turn windows to function effectively, they require multiple locking points. One of the many benefits of this is that the windows are extra secure while still enabling for effective ventilation. What’s more, the extra locking systems help prevent the window from being forced or pulled open from the exterior. One of the many fantastic benefits of tilt and turn windows is that they provide unobstructed views. Tilt and turn windows are particularly popular for large window spaces as they let plenty of natural light into a room while also providing a completely unobstructed view. So, whether you want to feel one with nature or watch the world go by while enjoying your morning coffee, tilt and turn windows are the ultimate choice. Here at South Coast Windows, we are passionate about providing great value for money. Our customers frequently tell us that our great products and quality installations are surprisingly competitive in price. So, rest assured that we always aim to provide you with the best value for money. Are You Interested in Tilt and Turn Windows for Your Home?